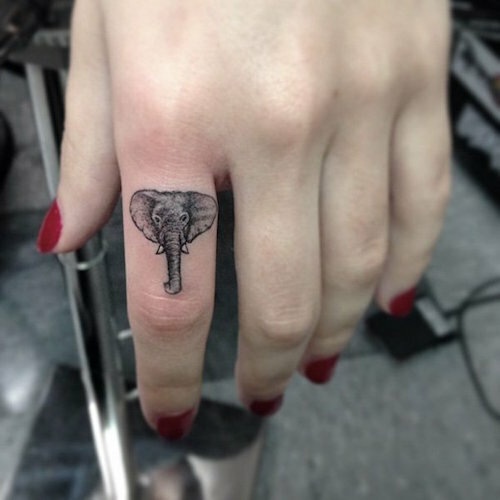 A tattoo has to be mighty small to fit on a finger, even if you have big hands! 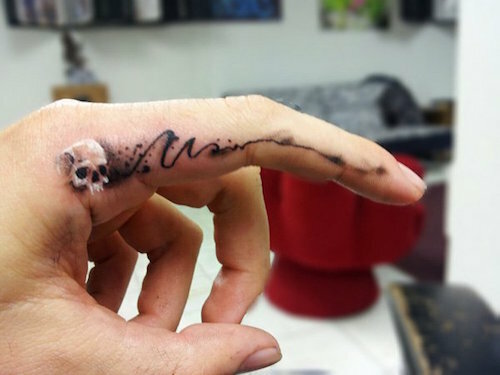 Finger tattoos take some of the most thought, not to mention skill. Because the fingers are highly visible and cannot be covered up unless you are wearing gloves, it’s a good idea to really think about what you’d like to present to the world as a representation of yourself. 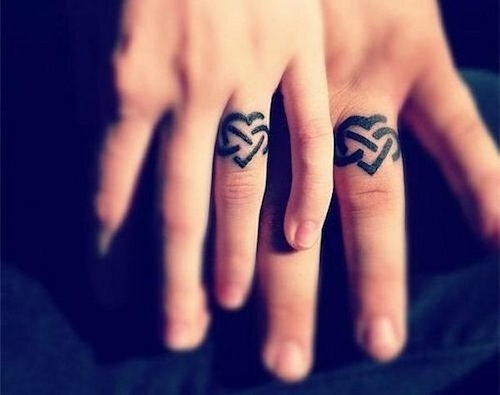 There are ten fingers, so that’s ten chances to have a meaningful tattoo. 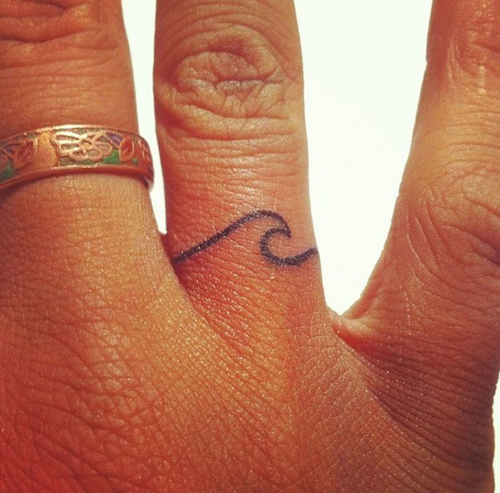 Are you considering getting a finger tattoo? 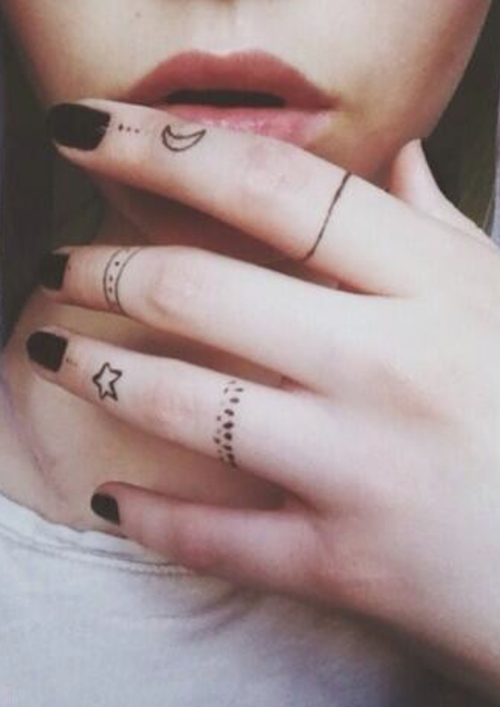 Or perhaps a few finger tattoos? Or maybe all 10? 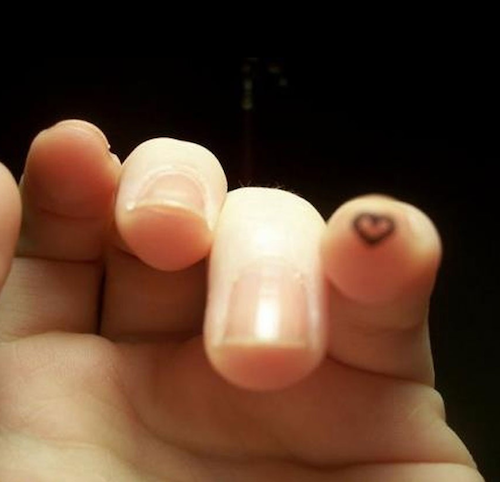 Check out the following 15 cutest finger tattoos to get some ideas and inspiration! 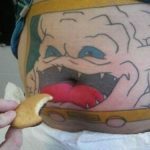 If you’re not into cute tattoos, well, you might find something you like here anyway. Here we see a heart, butterfly, flower, another butterfly, a duck, horseshoe, anchor, and an upside down umbrella. These all must have very deep and personal meanings to the wearer. Peacocks can represent different characteristics. 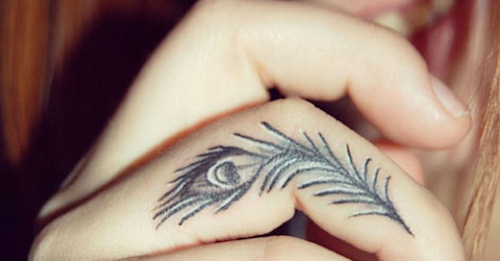 Having a small and elegant peacock feather on the side of your finger makes for a lovely tattoo. This tiniest tiny heart of hearts is so adorable! It’s so small that the camera couldn’t even focus on it correctly. 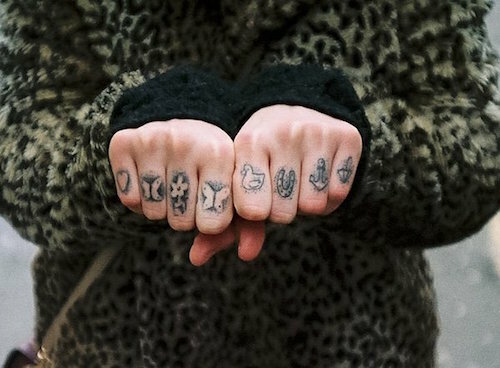 This collection of finger tattoos mirrors cosmic boho celestial rings. 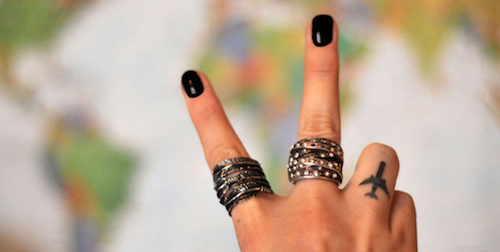 A lovely mini mandala can be seen among two fingers, the index and the middle, while a faint, reverse Mac apple symbol can be seen on the ring finger. 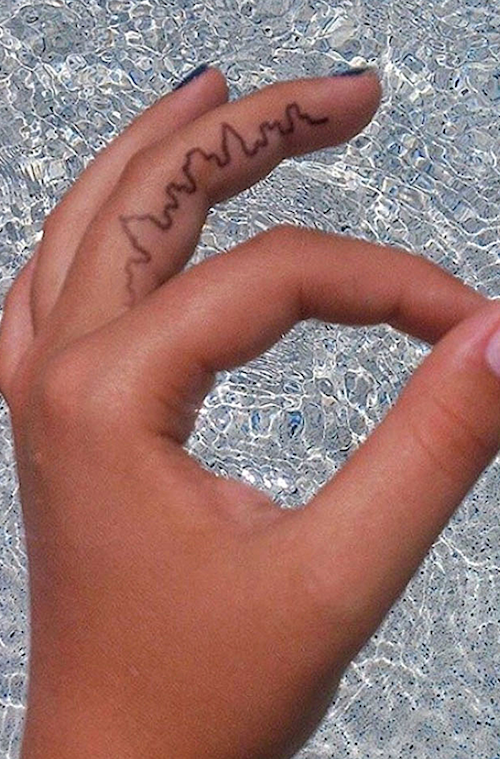 This girl has an entire city wrapped around her finger or at least tatted onto the side of it. 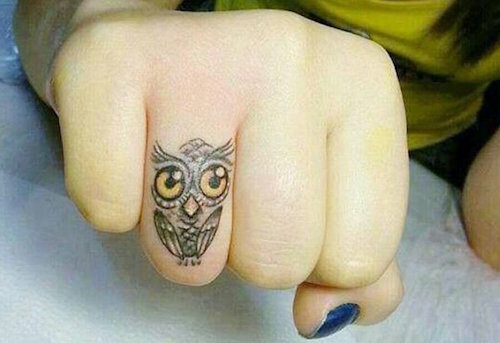 What a cute little owl finger tattoo! Much better than a ring! This tattoo enthusiast is probably a lover of the sea. 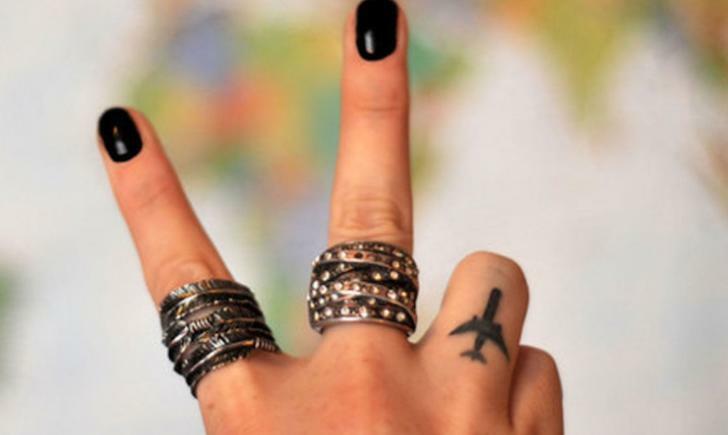 For all those jet-setters out there, this tattoo is for you. For anyone out there who LOVES elephants! 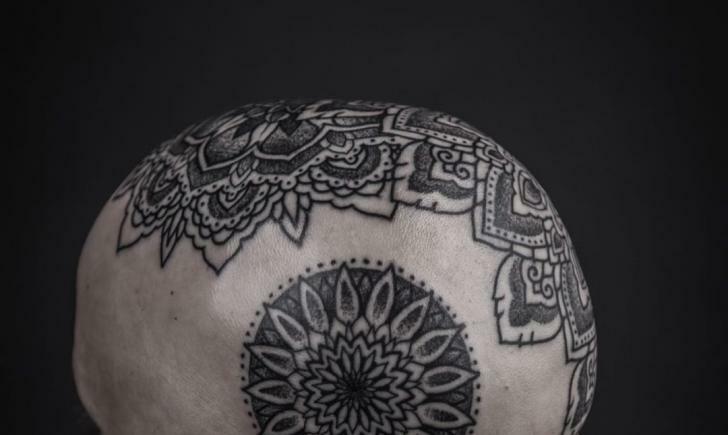 Would you consider getting a tattoo like this instead of wedding bands? 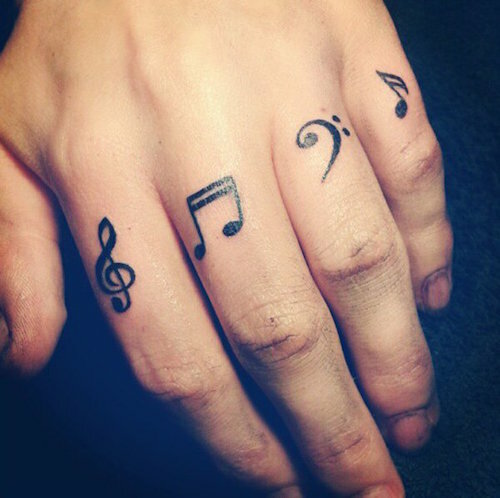 This series of musical notes and clefs is the perfect idea for a musician, especially one who plays an instrument with his fingers, like the piano or guitar. 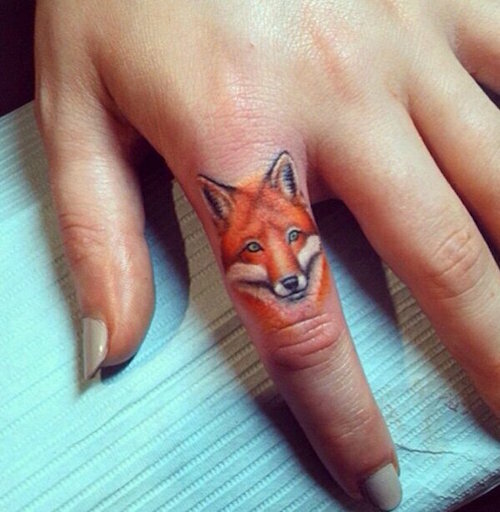 The cutest little fox finger tattoo ever can be seen here!